Home #Satire ‘EVMs Malfunctioning’ – A Growing Menace In Indian Elections! In every elections there was a common complaint – the EVM malfunctioning caused the polling delay, voters protest, candidates frustration, officers troubles makes the entire exercise full of complaints and troubles. Now, the question is – any solutions for this EVM malfunctioning or it will remain a growing menace in Indian election process. We can’t remember any election in which Arvind Kejriwal didn’t cry wolf. Not even the 2015 Delhi election, which his party won with a huge majority! 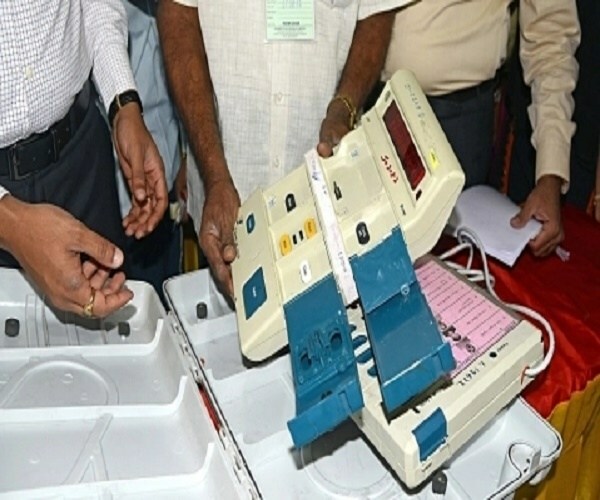 Does the ‘M’ in EVM stand for ‘malfunctioning’? The answer will be ‘yes’ — if you ask Arvind Kejriwal, Chandrababu Naidu and Omar Abdullah. Exactly the names which will remind many of that childhood story of the shepherd boy and the wolf. We are not saying that Electronic Voting Machines can’t malfunction. If our organs, apparently created by God, can malfunction and stop working one fine day, EVMs too can. But relax, have a cup of coffee, then start crying wolf? No — our leaders have to eat our brains from the crack of dawn, and with such repetition that you would feel compelled to elect them once again. Just so they stop whining. Take, for example, the case of N Chandrababu Naidu, the chief minister of Andhra Pradesh — which is also voting for its assembly election. A few hours into the voting process, and our babu shot off a letter to the Election Commission, saying at least 30% EVMs were apparently malfunctioning. This quickness is what we are talking about — and this concrete figure also. We would have spent at least half a day to calculate this exact percentage of malfunctioning EVMs. (Precisely why we are not politicians/CMs). The same in Poonch, J&K. Omar Abdullah tweeted a video according to which the button for Congress was not working in EVMs at a number of booths. Well, have you pressed other buttons too to check whether those were working? If yes, we think you have pretty much lost your chance. If no, well, we would like to rest our case. Elections held after he entered politics never missed his ‘hoarse’ cry against malfunctioning EVMs — not even the Delhi one in 2015 where his party won an absolute majority. ALSO READ: How to Choose the 'Right Doctor' For Your 'Medical Surgery' ? Weren’t you taught in your childhood not to ask anyone their age, salary and political ideology? Next articleWorld’s Biggest ‘Democratic Elections’ Has ‘No Place’ For ‘Women’! #Satire: ‘Ten Points’ To Understand Why India Going ‘Mad And Disgusting’?